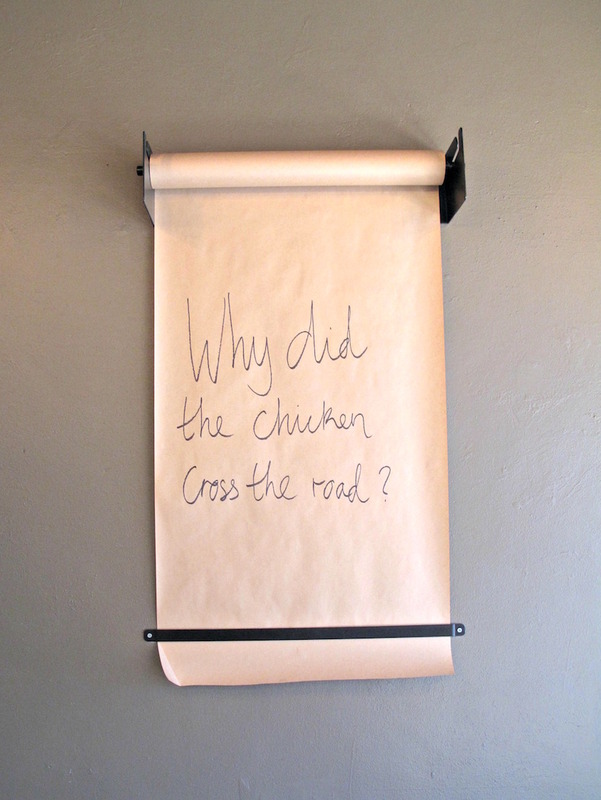 Consider The Sauce loves the Indian vibe of Barkly Street in West Footscray. We remember, profoundly, the pre-Dosa Hut, pre-Aangan days on the street when there wasn’t much at all. It always seems surprising to us that there are those who complain about “too many Indian restaurants”. And, shoot, it’s not like the Barkly Street precinct, or the neighbourhood in general, is ALL Indian. 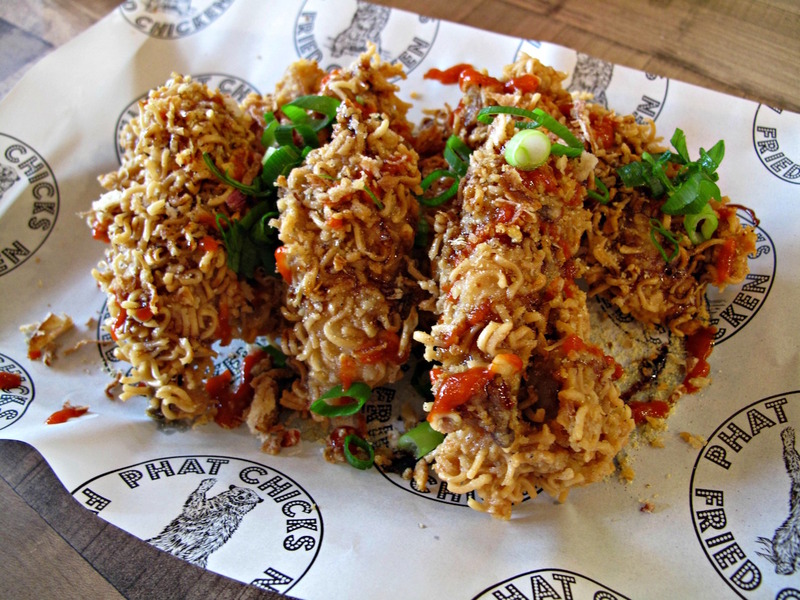 However, the diversity factor is about to get a grand boost with the arrival Phat Chicks Fried Chicken, which is taking over the “right-hand side” of Thai Angels and should be open in a couple weeks. And who better to be leading this charge than Jenny Nguyen? She’s of Vietnamese family background, born in Hong Kong and raised in our western suburbs – how’s that for westie lineage? Even better, Jenny is full of high-spirited charm and fun. Bennie and I have dropped in for mid-week chat about this exciting new operation, to have a taste of Jenny’s wares and find out about the thinking behind WeFo project. This is going to be some serious, but fun, fried chicken place – no hamburgers or sandwiches or “other” here. And there’s no set meals, either. Punters will customise their meals from the wonderfully simple menu (sadly not quite locked in in time to be published with this story). The chicken will come in breast, “thunder” thighs, wings, drumsticks and “pimped up” ribs. The overlapping range of coatings will include original, sweet chilli garlic, sesame soy, cheese, spicy, mi goreng noodles, salt n vinegar chips and chilli chips. And, yep, those last three are created from instant noodles and crisps being given a good old pounding! There’s a couple of salads on the list, and sides such as fries (cajun and sweet potato), onion strings and corn cheese. We both dug these mi goreng ribs – very nice, very crunchy. If anything, though, I loved these “original recipe” drumsticks even more – simple and delicious. With the new wave of barbecue places and the like, we’ve tried quite a few variations of mac ‘n’ cheese in the past few years. And, blimey, many of them have ranged from average through to horrid. So it was a pleasure to chow down on Jenny’s rendition. Again, there’s nothing flash or sophisticated here – just simple ingredients beautifully cooked. Best of all, it’s plenty moist and gooey. 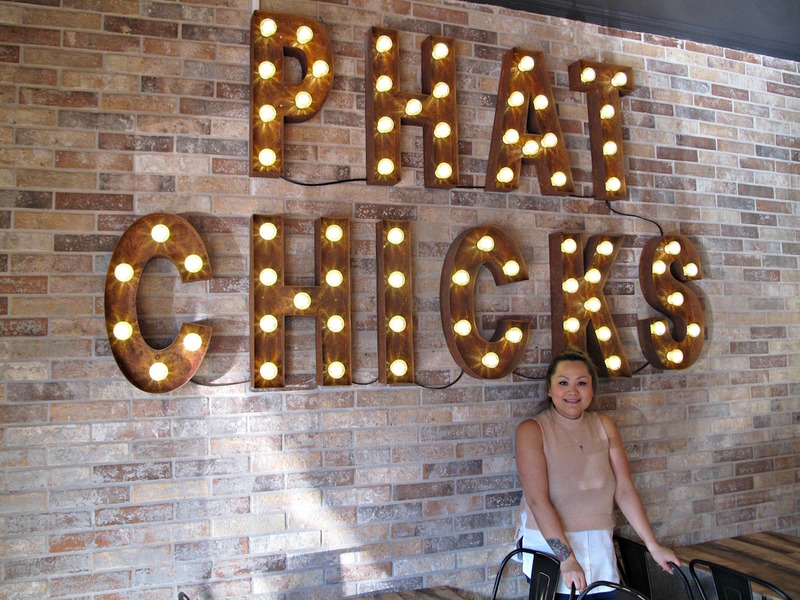 Jenny tells us that while she eats at Vietnamese eateries virtually every week, she wanted to do something different in the western suburbs and has always had a thing for fried chicken. She wants her new baby to succeed but happily confesses that success, to a significant extent, will be adjudged on whether Phat Chicks becomes a place where folks look forward to going to hang out with her! To that end, she’s also taking care of business away from the deep-frier. There’s a couple of old-school video games in the house. Away from the seated/eating area, is a comfy lounge set-up. And Phat Chicks will be fully licensed. Goodies on tap will include Hop Nation pilsner and West City Footscray Ale. The bear in the restaurant logo is because Jenny’s nickname is “Bear”. One English definition of the Vietnamese word “phat” is luck.